Today, Akron mobile-marketing firm Drips announced its first external seed funding, along with several additions to the executive team that will position the company for strong future growth. 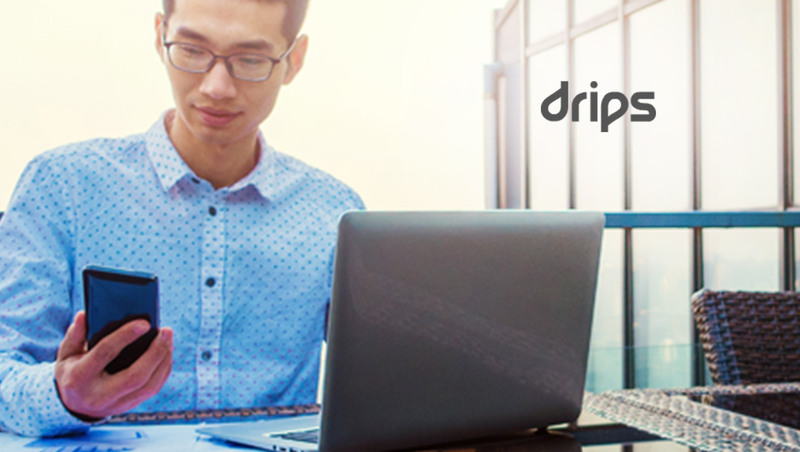 Drips has built a disruptive messaging platform around their artificial intelligence technology that drives 3-4X outbound marketing conversions compared to traditional call centers by integrating the Drips ‘conversational text messaging’™ platform. While the details of the company’s seed funding are confidential, Drips has already begun ramping up its staff to better meet the market opportunity and position itself for a future round of growth capital. John Dearborn, Chief Operating Officer For the last four years, Dearborn was President of StreamLink Software. He brings significant operational expertise to the company, as well as skills in fundraising, scaling operations and M&A. Prior to StreamLink, Dearborn served as President of Cleveland venture development organization JumpStart Inc., where he helped fund and support Northeast Ohio entrepreneurs and startups. Brock Thompson, Executive Vice President, Insurance Thompson will lead Drips’ first market vertical. He brings more than two decades of experience in the insurance industry, from running his own startup, Contact Cubed, to serving as CRO at Moss Corporation and leading marketing efforts for Insurance.com. Bryce Marshall, Vice President, Key Accounts Prior to Drips, Marshall spent more than 12 years leading key accounts at successful Akron startup, Knotice (now IgnitionOne). He possesses the skills to successfully manage the company’s key client relationships and drive solid strategic partnerships over time with the company’s largest clients. Tamra Moroski, Director of Account Management Moroski comes to Drips from Fathom Marketing, where she oversaw some of the firm’s largest client relationships. Prior to returning to Cleveland from Syracuse, she served as Membership and Marketing Director at the YMCA of Greater Syracuse, where she was part of the senior leadership team, overseeing a $4 million membership budget. Monica Woller, Director of Special ProjectsA two-year veteran of the Drips team, Woller has been promoted to a new role that will allow the company to utilize her unique skills and intimate knowledge of Drips’ business for projects that enable growth and expansion. Prior to Drips, Monica was part of the team that grew and created the exit opportunity for Onosys, (acquired by LivingSocial). She was also part of the early team at CarMax and one of its first female used car buyers at auction houses in Southern California. Newly Created Business Development Team The Drips sales team has added three new business development positions to work on more than 12,000 industry leads the company has acquired in the last six months. The company is also working to fill an additional five open positions across the team.